Golden beer with a characteristically fresh bouquet and sweet after-taste. This is the last of my catching up reviews. There were a few beers that I had at my Second Annual Craft Beer Event that I did not have full reviews for. This is the last of them. I have had this beer several times and found it to be fairly robust for a Tripel but I have never given it a full review before. So let’s see how it holds up. 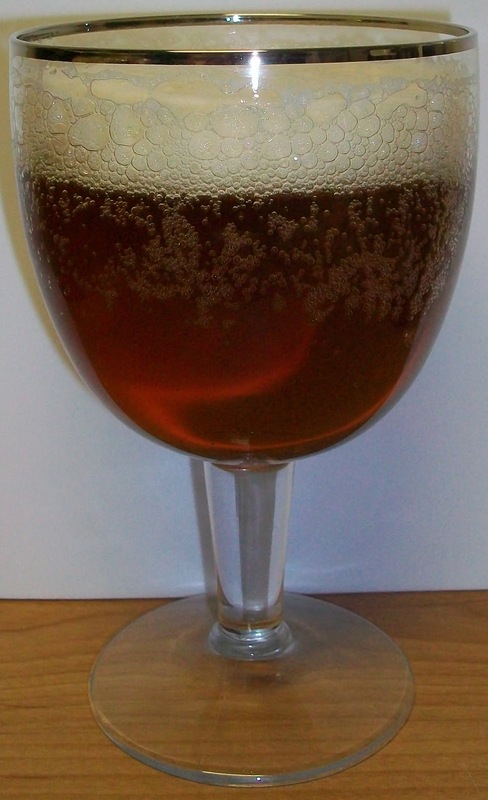 The bier pours a fairly clear dark copper with amber hues and an off white head. It is hard to tell if this 330ml bottle is conditioned. This poured very clear for a Belgian so I suspect that it is not. I did leave a few ounces in the bottle so we will know for sure when we get to the end of this review. The nose is exquisite; sweet, with almost caramel malts, floral hops, light spice and yeasty notes. Such an inviting aroma, I can’t wait to dive into it. Ahhh, this is smooth rich and creamy. The malt has more of a caramel, almost toasted flavor to it. This is much richer than most Belgian Tripels. It starts out with sweet caramel malts up front, then a very nice almost creamy mid-sip mouthfeel. The back end has an effervescent carbonation release that masks a lot of the flavors. It is also surprisingly easy drinking or such a big bier at 10% ABV. The finish is where this all comes together; sweet caramel malts, sweet fruity esters and yeasty notes as well. The finish is also where you start to detect the alcohol in this bier. The alcohol is there but it is sweet and not overwhelming. In fact you would be hard pressed to find this a 10% brew, it taste more like 7 for 8%. What a delightful bier. Even at room temperature it is smooth and delicious. Yes, this was bottle conditioned. The lees are a little funky; tart and yeasty. Once again I’m glad I did not pour them into the main glass. 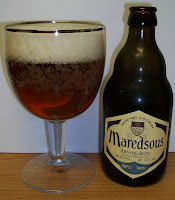 This really is an exquisite Belgian Tripel. It does not have the complexity of some but the rich flavors that it does have are outstanding. 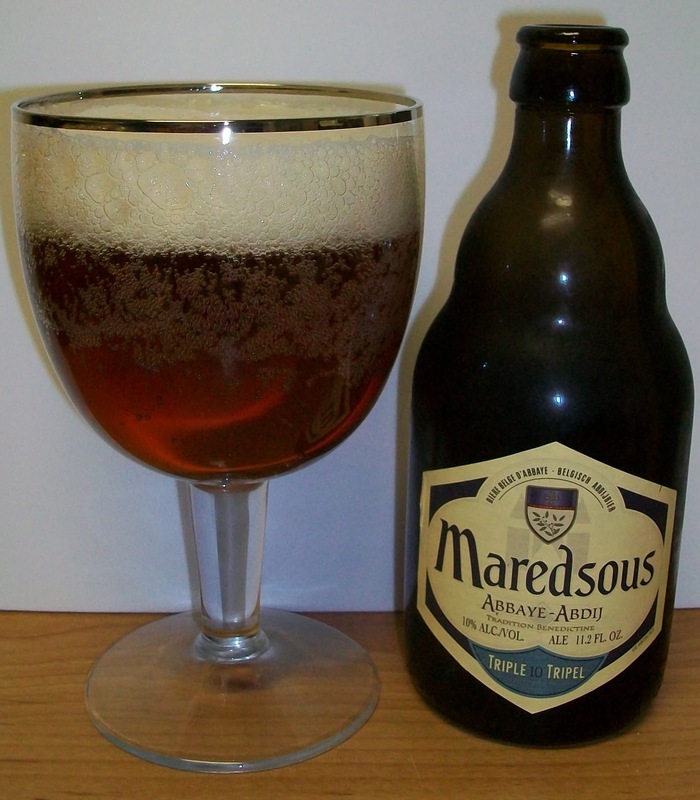 The alcohol of 10% is masked fairly well but it does leave a very pleasant alcohol sweetness to the brew. I’m going for an A- on this Triple. That may be a little high but a B+ didn’t seem fair. This is an excellent Tripel. It is lacking some complexity but more than makes up for that with the rich caramel malt flavors and sweet alcohol tasting finish. Even at room temperature it was smooth, creamy and delicious.